of eastern Honduras for the remains of lost civilizations. Come join us in 2008. During the summer of 2007, we spent two months working in the Telica Valley near the towns of Juticalpa and San Francisco de La Paz, Honduras. Forty-three archaeological sites in the region were added to the "Atlas of Mesoamerican Sites" which you can find on this website. 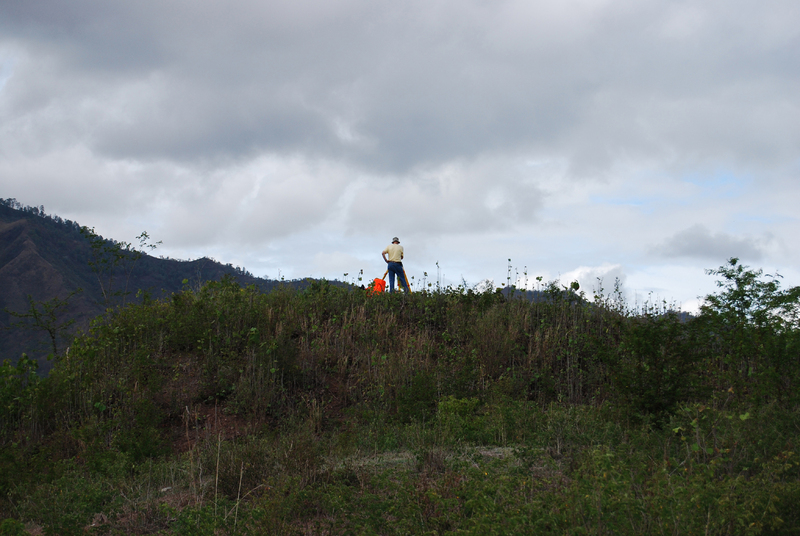 Two sites, Chichicaste and Dos Quebradas were intensively surveyed, mapped, and investigated. 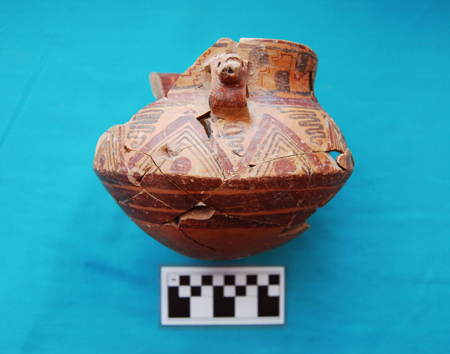 The findings were beyond expectations and will provide an opportunity to develop a better understanding of the role eastern Honduras communities played throughout Mesoamerica from A.D. 250-1200. Preliminary analyses suggest that some eastern Honduras communities were chiefdoms or early states with complex socio-political systems with connections to groups living far to the west and south of Honduras. Our 2007 field season included archaeological site detection and registration through archival research, analysis of remote sensing imagery, interviews with local residents and property owners, and pedestrian survey. 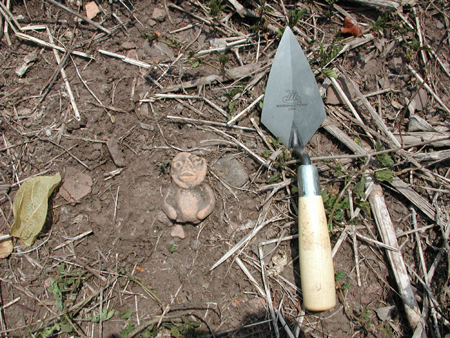 Exploratory excavations were completed at two prehistoric sites located between Juticalpa and San Francisco de La Paz, Honduras. A laboratory was setup in the Casa Cultural y Museo de Olancho located on the main plaza in Juticalpa. Artifacts recovered in surface collections and excavations were catalogued. Preliminary analysis of recovered archaeological materials including ceramics, lithics, plant and animal remains were completed prior to the close of our 2007 season. The sites of Chichicaste and Dos Quebradas were mapped using a laser total station and Global Positioning Systems data recorders. This research was and continues to be funded by the Auburn Montgomery Research Grant-In-Aid Council. Students are invited to contact us regarding future field seasons. A tentative schedule of 2008 activities follows. Student participants have the option to spend from 2 - 10 weeks of intensive study in the field for variable credit. Graduate students from accredited universities and colleges are invited to contact us regarding opportunities for theses or dissertations. 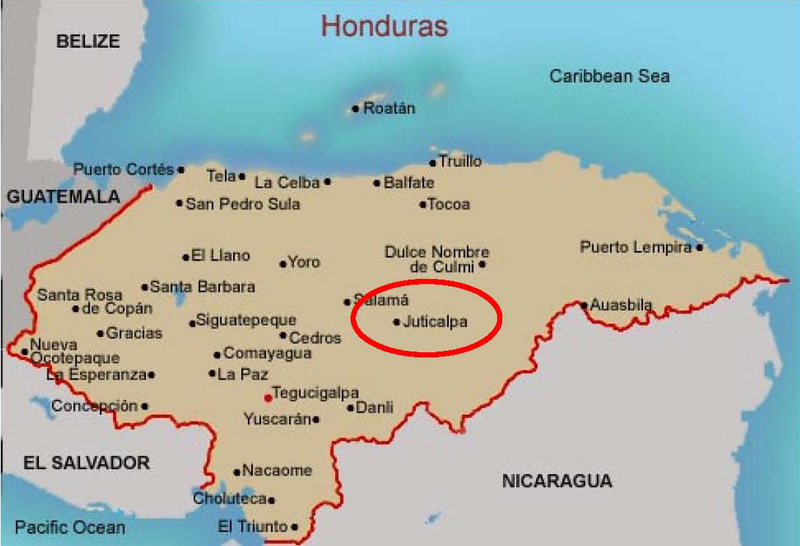 During your stay in Juticalpa, you will be the guest of a local host family. The family will provide meals as well as housing and laundry. Download a copy of the 2008 program here. Monday, May 12, 2008 First class meeting. Monday, May 19, 2008 Faculty and staff depart from Atlanta for Tegucigalpa. Tuesday, May 27, 2008 Travel by bus to Juticalpa. Wednesday, May 28, 2008 Orientation and tour of Juticalpa. Thursday, May 29, 2008 Field season begins, research center, lectures, and sites. Wednesday and Thursday, July 30 and 31, 2008 Close field season, secure laboratory, and prepare for departure. Friday, August 1, 2008 Return to Tegucigalpa, closing dinner. Saturday, August 2, 2008 Depart Tegucigalpa for Atlanta and travel by automobile to Montgomery. Most Saturdays and Sundays will be designated as free time. Students may arrange local travel and tours in groups. *Alternative departure dates are available for 2 or 4 week sessions. Formal lectures and field lectures conducted by Auburn Montgomery faculty as well as professors from other universities and invited Honduran speakers will focus on the archaeology, geography, prehistory, and history of Central America, ecology and culture-ecology of eastern Honduras, and field and lab methods in archaeology and geography. Readings will provide background on local and regional archaeology and geography as well as specific field and laboratory techniques. The geography of Middle America. The environment, natural history and ecology of eastern Honduras and Central America. Prehistory of Honduras and its neighbors. Conquest of the New World. Recent history of Mesoamerica and Central America. 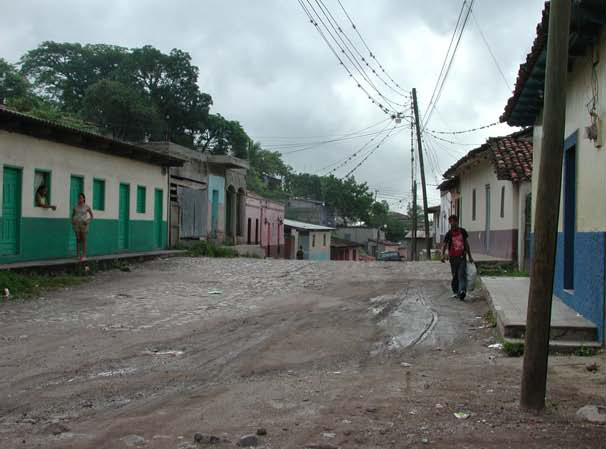 Culture and society in modern Honduras. Survey of Archaeology in Mesoamerica and South America. Theories for the rise of complex civilization. Site formation processes and stratigraphy. Field survey methods in archaeology. Natural history of the region: identifying plant and animal friends and foes. Pace or tape and compass. Laser total stations and GIS. Signed release of liability, required by Auburn University Montgomery. Find the required forms and check list here. Students are responsible for all costs related to participation and completion of this course. Proof of immunizations prior to departure for Honduras. Adams, R.E.W. 1997 "Ancient Civilizations of the New World." Westview Press, Boulder. Prem, H.J. 1997 "The Ancient Americas: A Brief History and Guide to Research." Translated by K. Kurbjuhn. University of Utah Press, Salt Lake City. Stephens, J.L. 1969 "Incidents of Travel in Central America, Chiapas and Yucatan, Volume 1." Dover Publications. New York. Roundtrip airfare, Atlanta to Tegucigalpa. Estimate - $ 900.00. Room and board in host-family home or local hotel. Estimate - $ 120.00 per week. Tuition based upon enrolled credit hours at Auburn University Montgomery. Auburn Montgomery students should apply for a Student Research Fellowship. Your estimate of travel expenses for optional visits, tours, or activities. Any items of a personal nature such as, telephone charges, snack foods, etc.